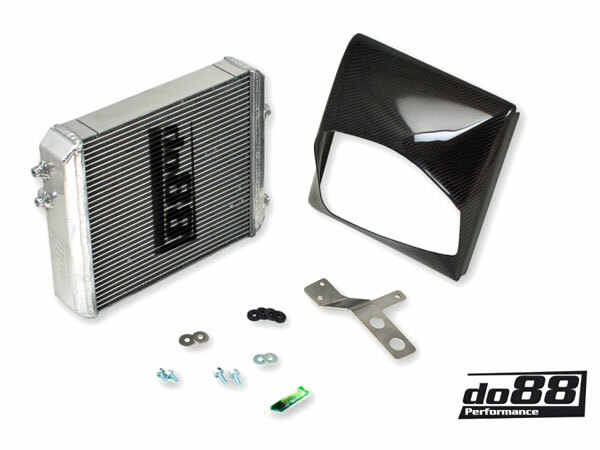 do88 proudly presents this in-house developed remote performance radiator for BMW M2 models! This radiator is constructed to deliver the best cooling efficiency during tough conditions. Exclusively manufactured in aluminium with uninterrupted welds, it guarantees reliability and endurance when you really need it. High efficient core with 5mm fin height of multi-louvred design. Dual core design, 2 row 42mm thick. The increased core volume improves cooling efficiency and lowers the liquid temperature. Naturally, this being a do88 performance product, we have executed thorough, severe and continuous tests when developing this product to ensure best performance. This radiator is immensely optimised to the given space for an easy drop-in-fitment. - Drop-in installation, no modifications are necessary. - CNC machined quick-connections for the hoses. 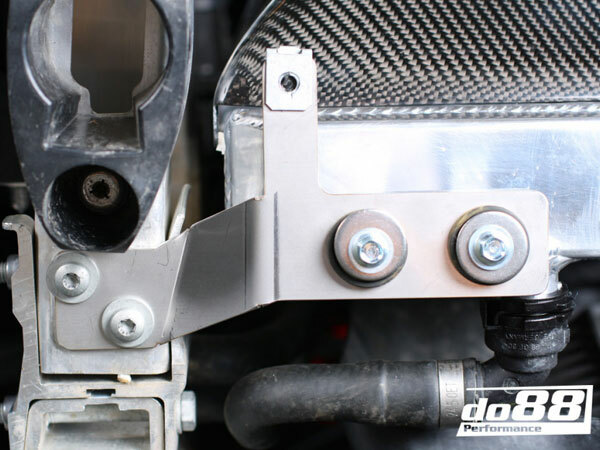 - CNC machined brackets for the radiator brackets and fan cover. 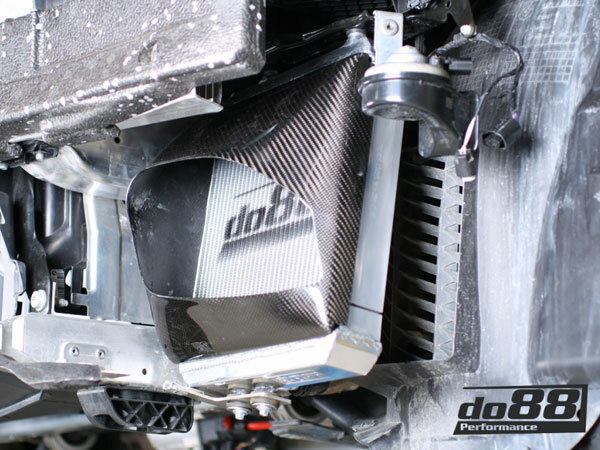 - Includes custom designed carbon fibre air duct.